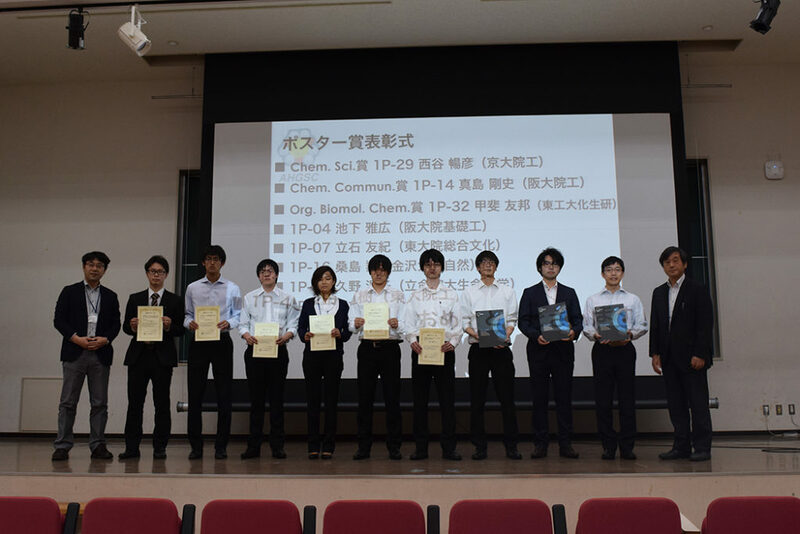 The Host Guest Supramolecular Chemistry Annual Symposium (website in Japanese) is an annual event that is organized by the Association of Research for Host-Guest and Supramolecular Chemistry. This year, the 15th occurrence of this symposium took place at the Ritsumeikan University on 3-4 June 2017. The event was attended by 230 people and counted 39 talks and 128 poster presentations. 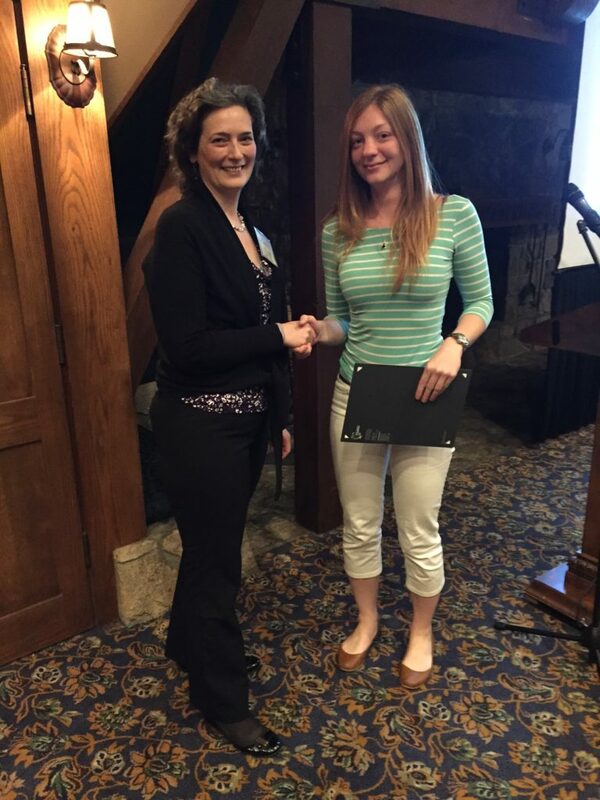 The Chemical Science, ChemComm and Organic & Biomolecular Chemistry poster prizes were delivered to the 3 most outstanding poster presentations, along with 7 other poster prizes. 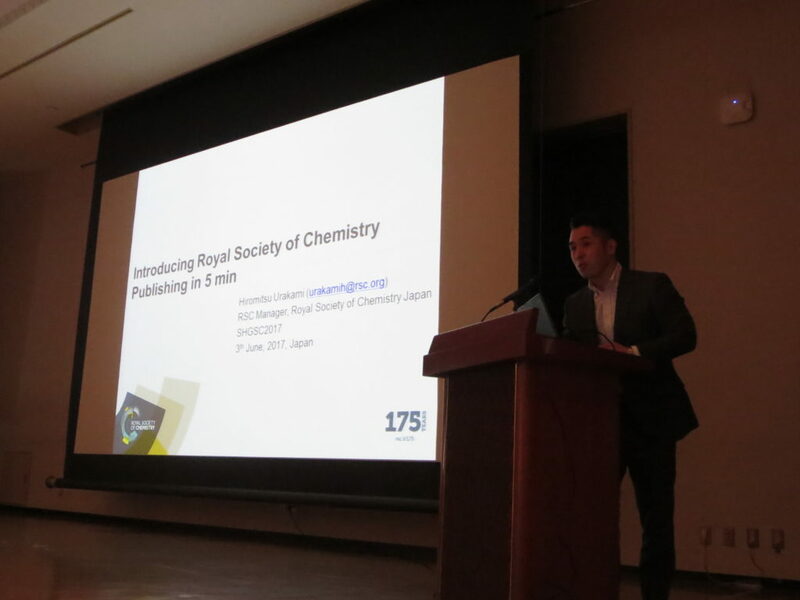 Dr Hiromitsu Urakami, from the Royal Society Chemistry, gave a lauded presentation on Publishing on 3rd June. 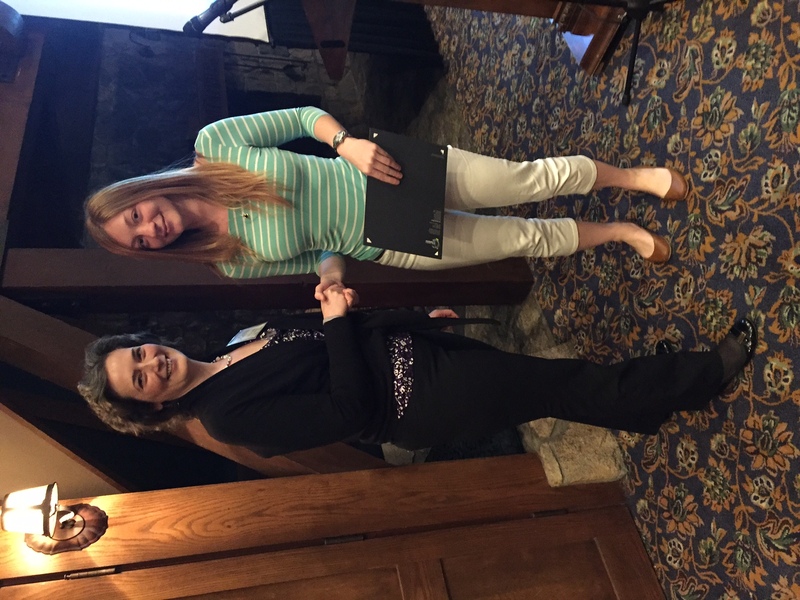 The 2017 University of California Symposium for the Chemical Sciences (UCSCS) was held on March 27-29, 2017 at the UCLA Lake Arrowhead Conference Center and was attended by over 100 University of California graduate students and postdoctoral scholars. The UCCS is a symposium for current graduate students and postdoctoral researchers in all fields of chemistry from all campuses of the University of California. The whole conference is organised by graduate students and postdocs from the UC campuses. The first UCCS meeting was held in March 2016, at the Lake Arrowhead conference center in Lake Arrowhead. Chemical Science is proud to announce that the Chemical Science lighting tak prize was awarded to Dr Noelle Catarineu from University of California Berkeley. The prize was awarded by Dr Jennifer Griffiths. Dr Catarineu’s talk was on Reticular Chemistry of Asymmetric Organic Linkers and One-Dimensional Secondary Building Units in Metal-Organic Frameworks. This award aims to acknowledge and promote the work of women chemists and chemical engineers throughout the world. All awardees have been selected based on excellence in basic or applied research, distinguished accomplishments in teaching or education, or demonstrated leadership or managerial excellence in the chemical sciences. The award ceremony will take place during the IUPAC World Chemistry Congress in São Paulo, Brazil in July, coinciding with a special symposium on Women in Chemistry. 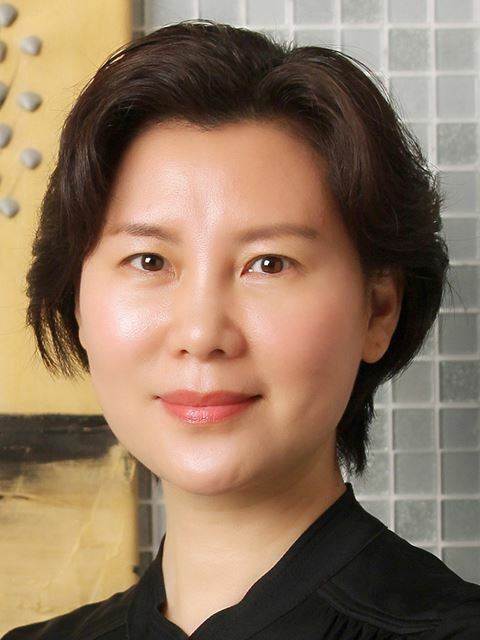 We are delighted to announce that Professor Jihong Yu, an Associate Editor for Chemical Science, has been awarded this prize. Congratulations! Professor Yu is a Fellow of the Royal Society of Chemistry, Secretary-General of the International Zeolite Association (IZA) and in 2015 was officially elected as Academician by the Chinese Academy of Sciences. 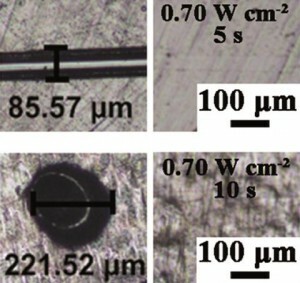 Professor Yu’s group’s research focuses on three main areas, including synthesis of new types of inorganic microporous materials, investigating new routes to the synthesis of inorganic microporous materials, and working toward the rational design and synthesis of inorganic microporous materials. Started in 1965, The ‘SCS Conference on Stereochemistry’, better known as ‘Bürgenstock Conference’, is an outstanding international chemistry meeting of high scientific quality, with a focus on inter-disciplinary discussion. According to the conference’s tradition, the 52nd Bürgenstock Conference 2017 will be interdisciplinary, covering many areas of chemistry, and will be welcoming relevant highlights from neighbouring disciplines, with a strong focus on structural and mechanistic aspects. Our Executive Editor Philippa Hughes will be attending the conference. Meet her there! The methyl anion H3C– was the strongest known base for 30 years, until Tian and colleagues made the lithium monoxide anion in 2008, which has held the record since. 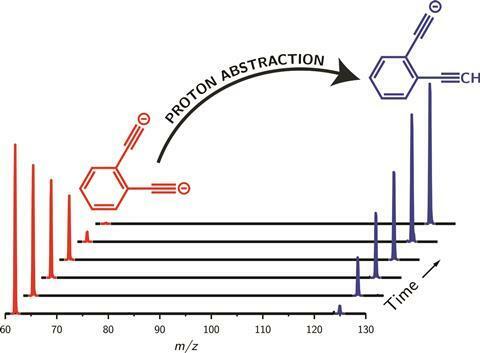 Now, scientists in Australia have knocked LiO– down to second place, making a gas-phase dianion with the highest basicity ever found. Superbases with high proton affinities like n-butyl lithium and sodium hydride are fundamental to organic synthesis. Chemists use them to deprotonate weak acids – the weaker the acid, the stronger the base needed to deprotonate it. Read the full story by Will Bergius in Chemistry World. On 28 November 2016, the Royal Society of Chemistry and the American Chemical Society Publications Division, ACS Publications, both signed the ORCID Open Letter committing to unambiguous identification of all authors that publish in our journals. The FICS-2016 conference is a national biennial conference hosted by the Indian Institute of Technology Guwahati on 8-10 December 2016 in Guwahati, India. The conference is mainly aimed at motivating and promoting aspiring young scientists in the field of chemistry and allied sciences, by giving them an opportunity to present their work alongside the stalwarts in the field. All branches of chemistry and sister sciences will be covered, from theoretical to experimental and applied chemistry, as well as modern science and technology. The scientific program includes plenary sessions, invited talks, and poster presentations. Chemical Science, ChemComm and Chem Soc Rev proudly sponsor this event: 3 poster prizes will be awarded at the conference on behalf of each journal. Researchers in China have designed multi-talented materials with mix-and-match functionalities, such as shape memory, self-healing or colour changes, which can be triggered by stimuli such as heat, light or voltage. Stimuli-responsive polymers adapt to environmental changes, making them useful for applications such as drug delivery systems that exploit differences in pH to direct medicines to the required organs or thermochromic coatings for windows reversibly tint the glass in response to temperature. However, integrating responsivity to numerous stimuli in smart polymers ‘in particular when considering a simple and feasible synthetic route’, has been challenging, notes Patrick Théato, from the University of Hamburg, Germany, who wasn’t involved in this work.